Thank you to all the vendors who participated in our 2018 festival! Cherry On Top Tees & Co., LLC was founded in 2018 by Nya Cherry. The inspiration for the company came from Nya’s desire to honor the legacy of her father, who was a graphic designer and printer. Nya is currently a freshman majoring in Criminal Justice at Virginia State University. When she is not studying, her focus is developing her t-shirt printing business and the Cherry On Top brand. Nya also seeks to use her mobile t-shirt printing business to inspire and teach other youth how to become entrepreneurs. 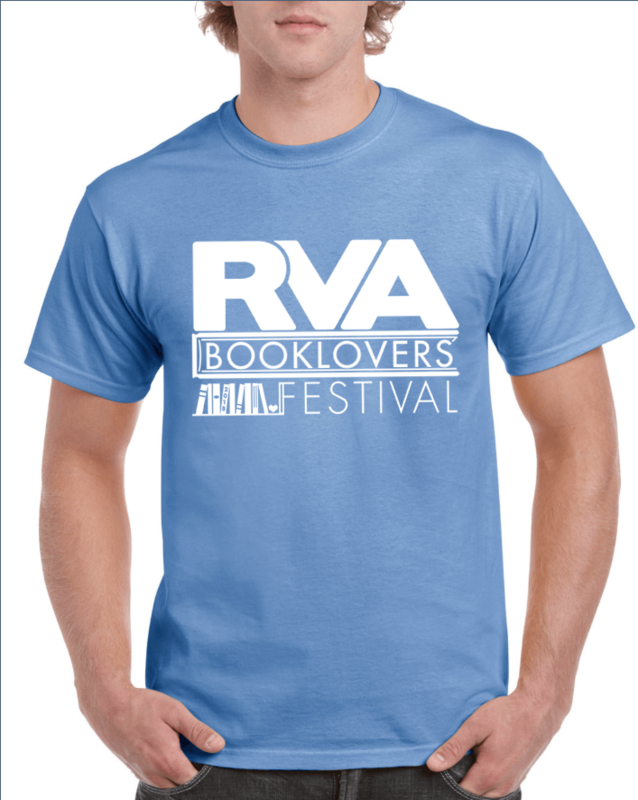 We're excited to have Booklovers' Festival t-shirts created by Cherry On Top. Black Cat Woodworking is a Richmond owned and operated wood shop specializing in handmade wooden goods, most notably pens of nearly every shape and size. Each piece that comes from this shop is a reflection of the individuality of its new owner. Most of the wood used is found in Richmond to keep the shop's footprint as small as possible, and to make for a more meaningful product. For a functional gift with a classy look, be sure to stop by! Diode's mission is to beautifully craft their books and fanatically support their authors. They're driven by a love of poetry and their mission to connect compelling work with readers. They publish established and emerging writers, and their catalog includes Simone Person, KC Trommer, Jehanne Dubrow, Philip Metres, Randall Mann, Dorothy Chan, Emilia Phillips, Shelley Wong, sam sax, Brynn Saito, Traci Brimhall, Paul Guest, Remica Bingham-Risher, and many other amazing voices. 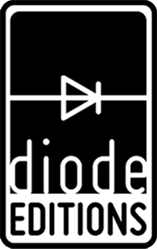 Diode Editions is based in Doha, Qatar and Richmond, VA. Opened in 1978, the Fountain Bookstore is an independent, general, full-service bookstore serving the Metro Richmond area and the world! Fountain hosts more author programming than any other entity in the state of Virginia. They also ship autographed copies worldwide. You will find enthusiastic booksellers happy to talk about their favorite books at Fountain, and you will also find a quirky selection of cards, gifts, and more! Heartfulness a non-profit organization with chapters around the world that teaches a simple and subtle practice of meditation. They offer the world a daily practice that awakens their potential for a simple, joyful existence. In The Heartfulness Way: Heart-Based Meditations for Spiritual Meditations, Kamlesh D. Patel traces a seeker’s journey as he examines the nature of spiritual search. Through a series of illuminating conversations between a teacher and a student, Daaji reveals the principles of the Heartfulness practice and philosophy to Joshua Pollock, a Heartfulness practitioner and trainer. Ignitist is an ethical and socially responsible brand offering products designed and created by individuals with autism and made by socially and ethically conscious companies. Ignitist uses 100% of its profits to empower individuals/families with autism. Stop by the Ignistist book to purchase bookish products of all kinds. iReminiss is a personal blog run by Anissa Ward that follows her life as she takes a trip down memory lane and looks back on different life situations to reflect and grow. iReminiss covers a variety of topics like faith, spirituality, mental health, mentorship, astrology, love, and relationships. Come reminisce with Anissa at the Festival! John Henley's love affair with photography began in a darkroom at the San Francisco Art Institute. Now, in the midst of a long and satisfying career as a photographer, John finds himself as excited by the work as he was the first time he set foot in that darkroom. His assignment work, personal projects, and teaching at VCU equally excite him. He feels fortunate to have the opportunity to teach, exhibit in galleries, and work with wonderful clients on assignments. He is rewarded by the pleasure, challenges, and constant learning inherent in his work and looks forward with gratitude to his next class, next show, and next assignment. Be sure to check out some of John's wonderful photos on sale at the festival. The Library of Virginia is a trusted educational institution. They acquire, preserve, and promote access to unique collections of Virginia’s history and culture and advance the development of library and records management services statewide. The Library also supplies research and reference assistance to state officials, administers numerous federal, state, and local grant programs, publishes award-winning books on Virginia history, provides educational programs and resources on Virginia history and culture for students and teachers, and more. Love of Learning is a local nonprofit that improves central Virginia, one book at a time! Originally founded by local elementary school teachers, Love of Learning performs read alouds and donates high-quality, age appropriate books to low-income children living in shelters, subsidized housing, and that are assisted by social service agencies. They'll have free face painting and balloons for the kids so come by their booth and learn more about what they do for the community. Nerd Squad is literacy nonprofit in Richmond founded in 2016 by Alexandra Hicks. Nerd Squad is a six-week literacy program for students of all ages. During the six-week sessions, an inspiring, fun, engaging, and thought-provoking book is selected. Nerd Squad’s mission is to bring out the book-based super powers in all students. From day one, they teach students that their super powers will get stronger when they exercise the power of their brilliant young minds. Nerd Squad is 100% donation and grant funded. All proceeds go toward providing new books for each student, journals, school supplies, snacks, activities, and field trips. The Passage creates handcrafted artisan jewelry and handbags to delight the book-lover in you. Come see their fun and colorful collections of beaded and paper jewelry and the ever popular cross-body pouches and totes. Joel and Teresa, the artisans of The Passage, have been featured at Fine Arts & Craft shows, museum and gallery shops, and boutiques. Rabbit & Wren brings the outdoors into your life. Explore the flora and fauna of Virginia through one-of-a-kind, handmade decor and accessories. Set your inner naturalist free with jewelry featuring Virginia birds. Kate Denwiddie, owner of Rabbit & Wren, is a sculptor, printmaker and natural historian. She was born in Virginia Beach, raised in the mountains, and now makes her home in Richmond. She loves her home state, and her work is inspired by the variety of plants and animals found in Virginia. River City Poets aims to give every poet the confidence and opportunity to share their voice. Their goal is to bring poetry into greater prominence in the central Virginia region. River City Poets encourage others to become more deeply involved in their craft through bi-weekly critiques and monthly workshops. They believe poetry can bridge worlds and therefore is ever more necessary in a tumultuous contemporary society. Small Friend Records & Books is a used and new record and book store in Shockoe Bottom open since April 2018. They buy, sell, and trade books, records, and zines, with a focus on the weird, obscure, and radical. Zoe and Jordan started Small Friend because they love books, records, and Richmond. Small Friend is a nickname for their four pound yorkie-poo, Peluga, who is their smallest friend. WRIR-LP 97.3 FM is a low power FM radio station broadcasting from Richmond, VA. It is managed entirely by volunteers, its programs are produced in studio by their volunteers who mentor one another, and the station, by charter, will always be locally-operated and beholden only to its listeners. As a result, WRIR is the most independent radio station on air in Richmond, VA.